Dino's Party Center in South Philadelphia. Here at PhillyVoice, we like to highlight the – let's say creative — ways that local businesses try to entice new employees. Earlier this year, there was the mystery company that needed someone to take a "stupid" job and tell the Philadelphia Parking Authority to stop giving their delivery truck tickets. 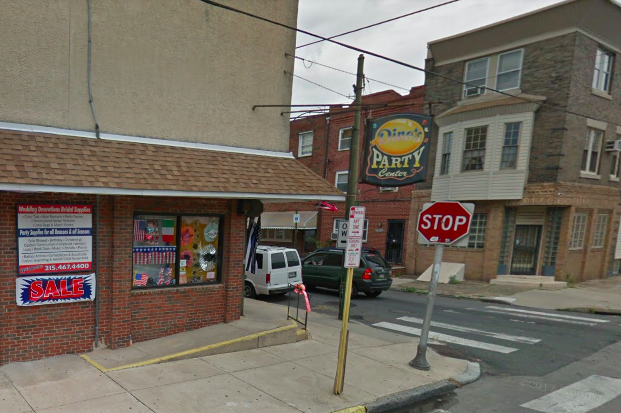 Now, we have Dino's Party Center in South Philly, which is looking for a delivery person and shelf stockers. According to a Facebook post from the store, interested candidates need to be able to carry items as heavy as 75 pounds, lift chairs and tables up and down stairs, and inflate balloons. More importantly, however, the shop at the corner of Ninth and Morris streets is looking for candidates who don't possess some very specific qualities and behaviors. Do not bother to apply for the driver position if you have had a suspended license. If you have to get a ride to work later than your work day begins or keep forgetting to set your alarm to wake up for work, keep forgetting to tell us about doctor appointments. Or you have to hold a cell phone all day, or will become an expert at your job with no need to learn or take advice after the first day. Should not expect to receive gold stars for being on time. The listing also says interested candidates must apply in person at the store at 1638 S. Ninth St. Apparently, the tone of the listing was inspired by some issues with former employees. One user called the post "mean" in the comment section, but David Cattai, vice president of the store, wrote back that "these are the excuses and the back talking that we keep getting." So, if you need a gig, like balloons and don't need gold stars, you might want to apply.